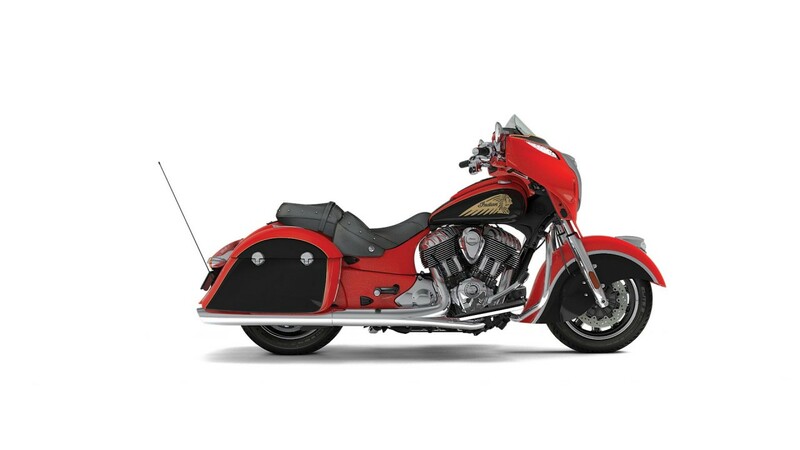 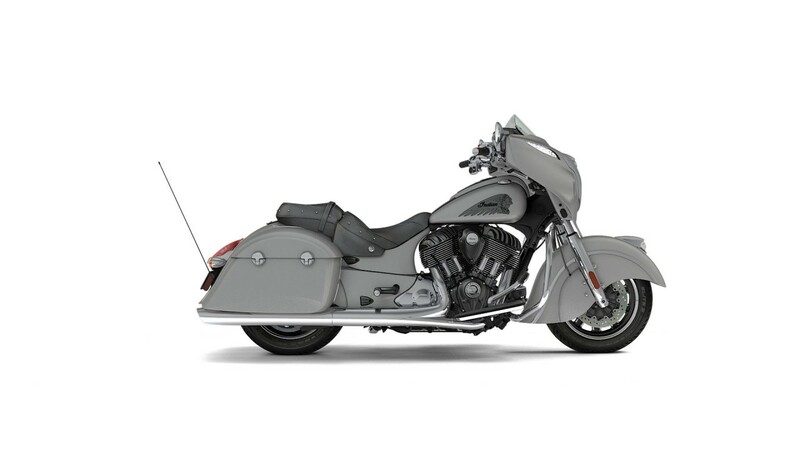 The Chieftain has the powerful Thunder Stroke® 111 engine, TPMS, ABS, fairing with integrated driving lights and power windshield, cruise control, remote locking hard bags, keyless ignition, and much more. For 2017 the Indian Chieftain comes standard with the all-new Ride Command™ system and can blast out 100W of premium audio and all the infotainment features a rider leading the pack could ever want. Chieftain is available in Thunder Black Pearl, White Smoke, Silver Smoke, and a pair of two-tone palettes. White Smoke and Silver Smoke models feature a blacked out engine package.